So it appears to have come down to this. In an effort to appease the Trump administration’s base, U.S. Attorney General Jeff Sessions is apparently changing immigration law, on his own, and has announced “100 percent” criminal prosecution of anyone who crosses the U.S. border illegally. Those who cross with their children will be separated from them, and it’s unclear where the children will be sent. Yes we do. And we believe that it is up to Congress to write those laws. So we question whether Sessions actions are legal? First-time border crossers, who have no other charges against them, have historically been treated as civil cases. Most are referred to federal immigration courts, such as those in Harlingen and Port Isabel. Many are given deferred adjudication until their court dates, and some are detained in centers. Some have been processed through other federal courts because the case backlog on U.S. immigration courts now exceeds 600,000, but that is not to say they have been charged as criminals. This new hard line approach by Sessions is a major policy shift. It signals a much harsher treatment by our country for those who try to flee their countries. Does our government think it humane to separate mothers from their children? And for how long? And will there be limits as to how far apart families will be? Will there even be a way to track this? 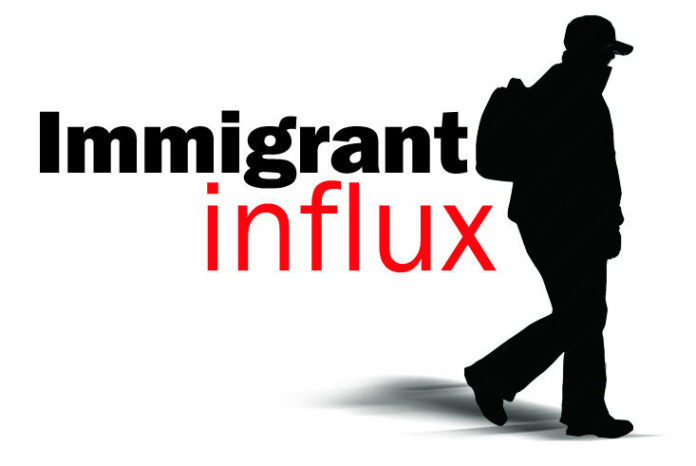 This is because adult immigrants fall under the custody of the U.S. Department of Homeland Security, but immigrant minors become the care of the U.S. Department of Health and Human Services, which has much stricter rules prohibiting the release of any information on their whereabouts or identity. Has Sessions just found himself a legal loophole, that until it is legally challenged, will allow our country to act inhumanely toward others and show the rest of the world that we don’t welcome or tolerate outsiders, regardless their story or history? We agree that those who smuggle children or traffic adults or illegal drugs should be fully prosecuted. And they should never be allowed to return. But should that same legal heft be applied to a mother from El Salvador who is trying to cross with her 12-year-old daughter that she said gangs had tried to kidnap? This new policy means all cases will be treated as a criminal matter in which immigrants face prison. Olivares also pointed out that an uptick in cases could “provide incentives” for more privately-run detention centers. These facilities already cost U.S. taxpayers billions of dollars each year, and there are many allegations against them of mistreatment and abuse of immigrants. Also, how much will it cost American taxpayers for the 35 additional U.S. assistant attorneys that the U.S. Justice Department last week announced it was sending to the U.S./Mexico border to prosecute these cases? At least eight will be sent to the Southern District of Texas, which has courthouses in McAllen, Brownsville and Laredo. As Sessions, with the full backing of President Donald Trump, appears to have established a new law of the land — rightfully or not — we call upon our leaders in Congress to question its legality, and if necessary to challenge it in court. We also, once again, call upon Congress to take up immigration reform, as they had promised they would do prior to negotiating the federal budget. It’s amazing how much lawmakers can accomplish in such a short time period, when they really make an effort. And we all know they haven’t made much of an effort to reform immigration.